Great news from Texas! 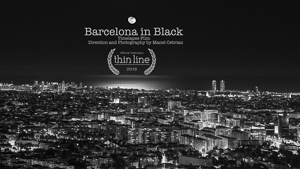 “Barcelona in Black” has been selected within the official selection of the 11th edition of Thin Line Fest that will be held in Denton (Texas) from April 18th to 22nd. Thank you to the festival staff for having selected “Barcelona in Black” as one of the films of this edition.